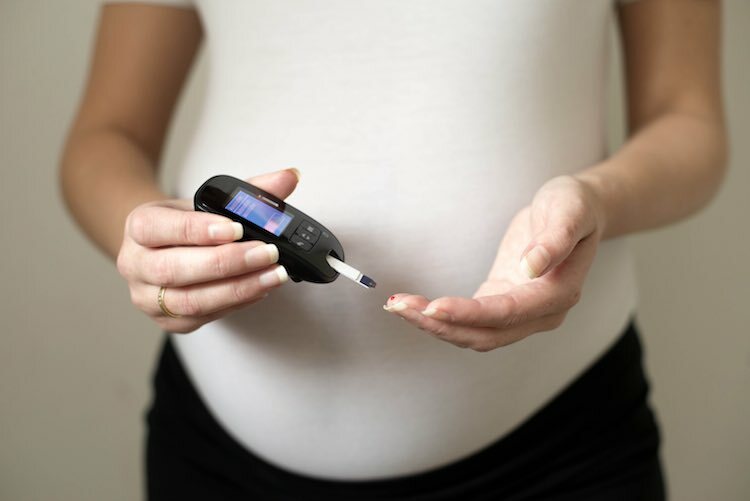 Gestational diabetes mellitus (GDM) is a form of diabetes that occurs during pregnancy. It is characterised by higher than normal blood glucose levels first appearing during pregnancy. GDM is relatively common in Australia, with between 5 and 10% of pregnant women developing it. Risk factors for GDM include having a family history of GDM or type 2 diabetes, being overweight or obese, and having previously given birth to a large baby. GDM can have negative effects on both mother and baby, including hypertension and pre-eclampsia for mothers and increased risk of obesity and type 2 diabetes for the child as well as dangerously low blood sugars after birth. GDM management typically consists of dietary improvements and, in some cases, insulin therapy. Exercise is also thought to be beneficial for women with GDM however evidence is mixed on the magnitude and type of benefits it may elicit. Researchers analysed the effects of different types of exercise on blood glucose control and associated measures in women with GDM. They conducted a systematic review of existing studies that involved various types of exercise programs and frequencies in women with GDM. Outcomes measured in the studies include post meal glucose levels, fasting blood glucose levels and HbA1c, which is a measure of blood sugar control over the previous three months. Participants’ average age was between 31 and 33 years. A variety of exercise programs were reported, including circuit-type resistance training, cycling on upright cycle ergometers, recumbent cycle ergometer, arm ergometer, brisk walking and yoga. Exercise frequency ranged from three to seven sessions per week and between 20 to 45 minutes in duration. Compared to standard care alone, exercise plus standard care resulted in improved post meal blood glucose, fasting blood glucose and glycated haemoglobin (HbA1c) levels. The results of this systematic review suggest that adding exercise to the standard care of women with GDM may result in better control and improved outcomes for both mother and baby. Exercise is also recommended for women during normal pregnancies to maintain good health for themselves and their baby. Talk to your doctor about what types of exercise are best suited to you during pregnancy. Harrison, A et al. (2016). Exercise improves glycaemic control in women diagnosed with gestational diabetes mellitus: a systematic review. Journal of Physiotherapy http://dx.doi.org/10.1016/j.jphys.2016.08.003.